This turned out to be a banner weekend for both Tom Cruise and his Mission: Imposible alter ego, Ethan Hunt. 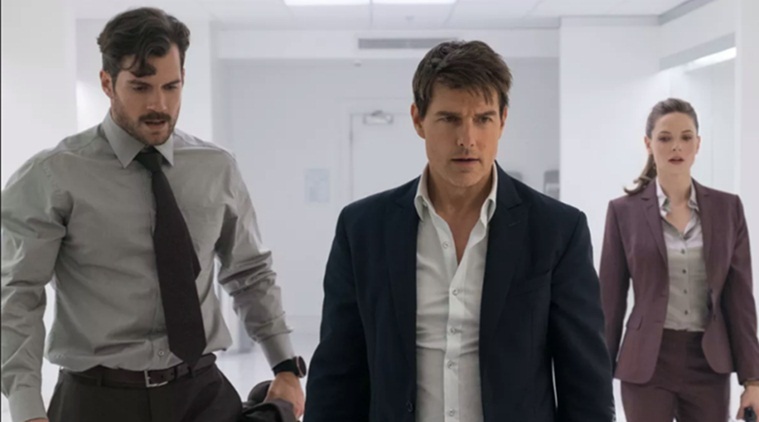 The $61.5M debut of Mission: Impossible-Fallout is the second best of Cruise's career, behind the $64M of War of the Worlds. It's also the biggest debut in the franchise, which is saying a lot considering it's been around more than two decades. Worldwide the film has already scored $153.5M because, whether you like him or not, Cruise is an international megastar. These movies have grown in size while Cruise's star power has supposedly faded, but he remains the lynchpin of the franchise and the guy we want to see doing ridiculously death-defying stunts. Every few years we want to see how he's going to top wheatever crazy thing he did last time. Remember when the wildest thing he did was drop down from the ceiling with a harnass on? Denzel Washington's first ever sequel The Equalizer 2, tumbled 61% from its perch last weekend. The film earned $14M and has $64M domestic. Overall the action flick has $70M, still a far cry from the $192M of its predecessor. There's still plenty of time, and the last star I'm ever going to sell short is Denzel. Hmmm, I'm not sure what to make of the disappointing debut for Teen Titans Go! to the Movies. The animated film is a satirical sendup of DC's superhero films, featuring prominent comics team the Teen Titans, which includes Batman's sidekick, Robin. Maybe audiences didn't get it, or fans of the episodic TV series figured they were better off staying home and watching reruns on cable. The reviews have been through the roof (our reviewer dug it, too) and I thought maybe it would attract a crowd who weren't necessarily into comic books. Clearly I was wrong. On the plus side, Warner Bros. only shelled out $10M for this one. If only they had spent that much on Justice League, eh?